Please note that adding this to your order means it will be installed on your board, unless you specifically state in the comments otherwise. So basicly in the Dutch skatescene this is one of the next big things. Grip, but non abrasive for your shoes. If you skate a lot, but like some good griptape you must have noticed that mofuckin’ shoes ain’t cheap. No you can get these tubes of shoe-goo but we think that’s the same as insuring a house that is already on fire. Why is SYS-Grip saving your shoes and still providing the usual grip? To provide grip, you need friction. The degree of friction is increasing with the roughness of the aligning materials. 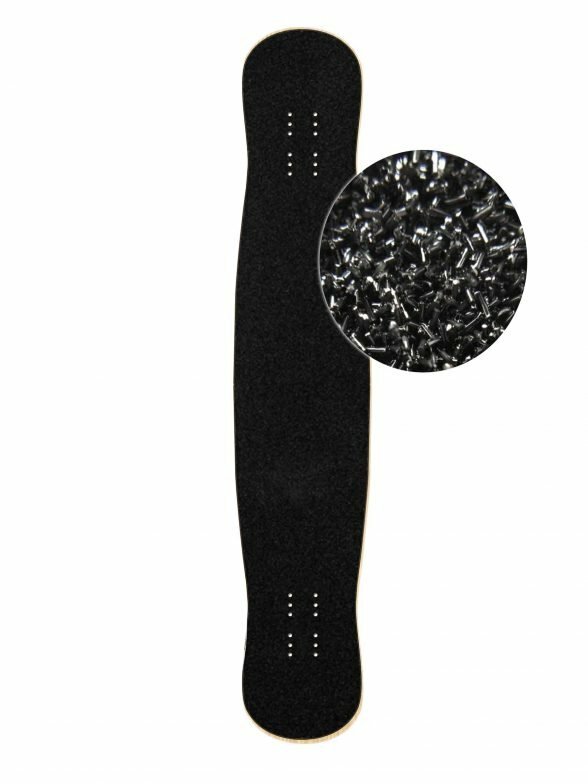 Standard griptape provides friction through grains of quartz sand. Quartz sand is normally a hard, sharp-edged and pointy material. When such material meets one which is considerably softer, it provides a high degree friction. Perfect for shredding purposes. Unfortunately this friction causes a high degree of abrasion at the same time. The friction caused by interlocking grains with the material of your shoes tears apart parts of your shoe every time you do a trick. And sooner than later you will have the first holes and fuzzy laces. Sys don’t use grains of quartz sand, but synthetic fiber. This fiber is cut into tiny blocks applied vertically to the griptape. The single fibers are not much bigger than a grain of sand, but a lot thinner. The vertically applied fibers cause the same friction like quartz sand. 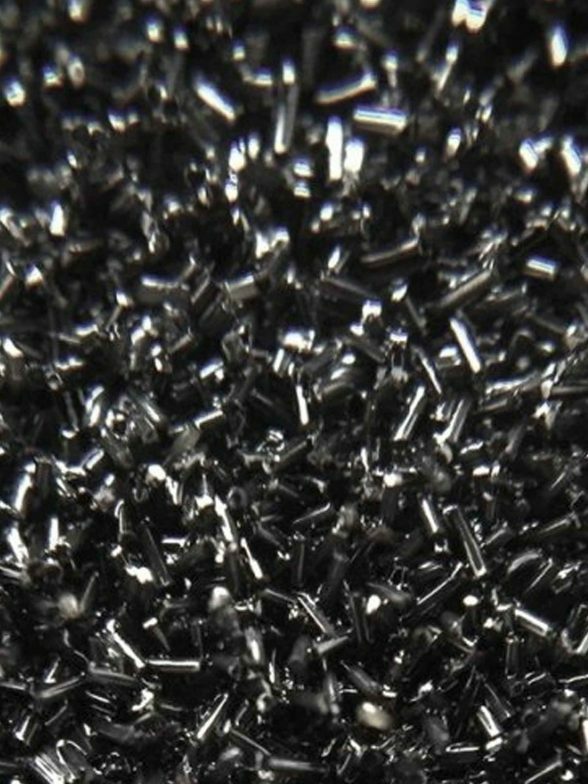 Unlike quartz sand Sys fibers are considerably softer, that’s why we need 100 times more fibers on a griptape than grains of sand on a standard grip. That means that the fibers don’t rip up your shoes, but the shoe slowly destroys the fibers. This way a high degree of friction is provided, but your shoes will last significantly longer. THE END. Thanks for reading and skate Timber!